11th Annual Futaba & O.S. Speed Nitro Challenge « Big Squid RC – RC Car and Truck News, Reviews, Videos, and More! Coming up on July 27th to the 30th is the 11th Annual Futaba And O.S. Speed Nitro Challenge. 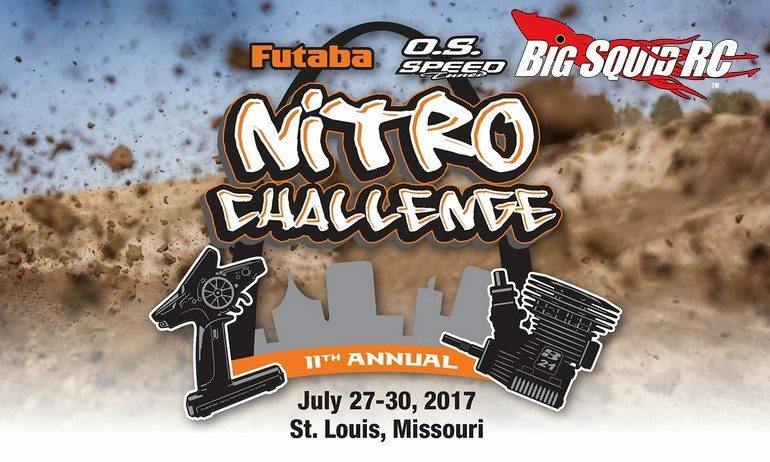 This yearly event will once again be held at the legendary St. Louis Dirtbuners track and features 7 different nitro classes as well as an electric buggy class. The Futaba race brings in racers from all over the country and is bound to be four days of 1/8th scale nitro buggy & truggy fun. Also, the BigSquidRC Bash Crew will be there taking pictures, handing out stickers, and catching some of the best racers in the world battle it out on the track. You can get more details on the event by hitting up This Link or you can Click Right Here for more Futaba news on BigSquidRC.